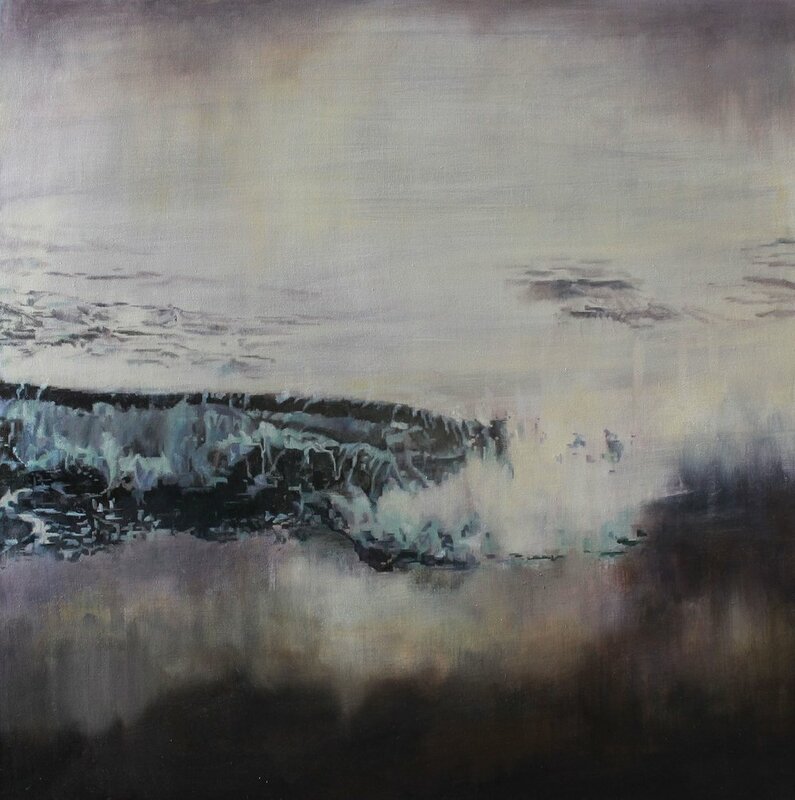 Nerine Tassie is an experimental landscape painter who draws her inspiration and subjects from the coastal waters and woodlands near her home. Her multi- layered works evoke a haunting, timeless quality. Most recently she has explored ideas surrounding composition and frame within her painting. She has exhibited extensively throughout the UK and last year was the winner of Sky Arts’ Landscape Artist of the Year. Lisa: When did you first fall in love with landscape painting? Nerine: I’ve been painting landscapes since art college, though at that time I was creating more abstracted pieces, which focused on surface texture. I’ve always had a preoccupation with the textural qualities found within the landscape but when I moved to the coast 11 years ago I began to explore the imagery of the coastal and landscape scenes around me. I was really inspired by these natural spaces as these landscapes are ever changing and at times very daunting. I wanted to explore these aspect of nature within my painting and so I always try create a strong sense of atmosphere and connection to place within my work.